Rev. 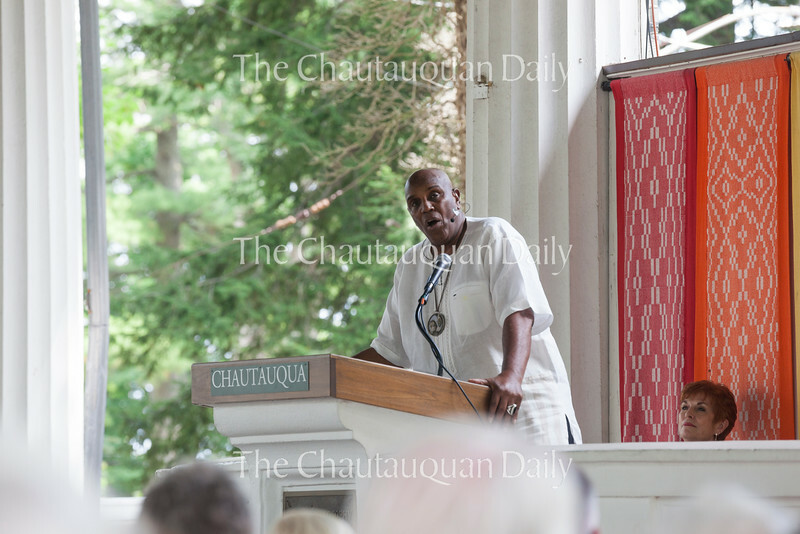 Gerald Durley delivers his lecture "Protecting and Serving the Planet Matters" at 2 P.M. on Friday, July 29, 2016, at the Hall of Philosophy. Durley said that the Rev. Otis Moss, this week's Morning Worship leader, was one of his former students. Photo by Carolyn Brown.